As if Mindy and Danny’s sultry mile-high kiss wasn’t enough to get you so excited for the return of The Mindy Project in April, this just in, Max Greenfield (aka Schmidt on New Girl ) is set to guest star. Fox and Ms. Kaling herself are being quite hush-hush about his role, only divulging that Greenfield will play a playa named Lee lookin’ to get some at the bar. Okay, so he basically sounds like Schmidt, but we trust Kaling to make good use of such a talented guest star. And we also sincerely hope this will pull in New Girl fans to #SaveMindy. Greenfield’s appearance will also bring even more diversity to the already well-rounded show. Now this Lee character isn’t the first time a Jewish fella has come knocking on The Mindy Project’s doors. We did have Seth Rogen as Dr. Lahiri’s childhood crush/American hero Sam. And as much as we enjoy watching Mindy and the mensches, we’re still not sure where the show is going with Greenfield. This Lee character may not necessarily be going for Mindy or any of the ladies for that matter. Greenfield also guest starred on Happy Endings playing a love interest to the character Max (! 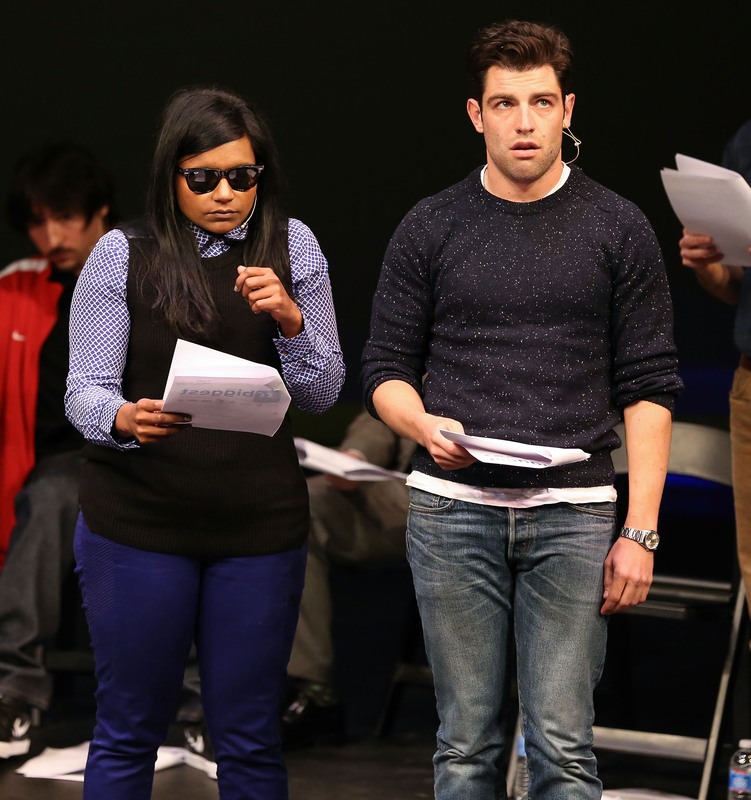 ), played by Adam Pally, who also now stars on The Mindy Project. And if that’s not confusing enough for you, New Girl also stars Damon Wayans Jr., who also used to star in Happy Endings —and the circle of everyone’s TV crushes is complete! Sure, we’re all excited for the Mindy and Danny prospects, and have already debated the feasibility of their romance, but there is something really exciting about bringing in a wild card like Greenfield. Could he throw a spoke in Danny’s wheel? Will Mindy awesomely throw a martini in his punim? Just how many bad pick-up lines are we going to hear? How much will Mindy Kaling Instagram on set from the episode? Well, until then, I guess we’ll all just have to prepare ourselves with our favorite Schmidt pick-ups, the original Magic Mensch.